Essa época do ano tem muita magia, não é? Já está começando a ficar tudo enfeitado para o Natal! As casa, vitrines, escolas, praças, as cidades ficam lindas!!!!! О боже какая прелесть! Эта карта просто шикарная!!! Я в восторге! очень добрая и красивая открытка! 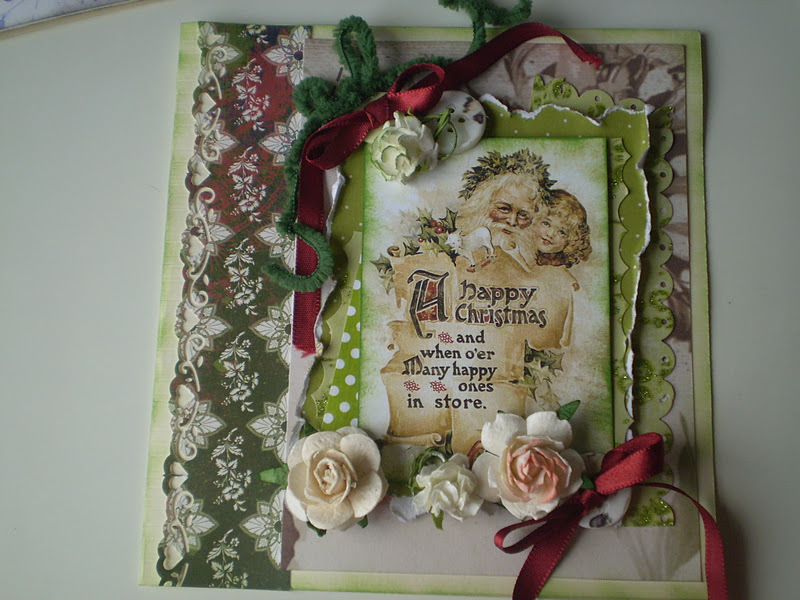 Beautiful card with lovely colors! Thank you for playing with us at Anonyme Scrappere! Wow, stunning card! 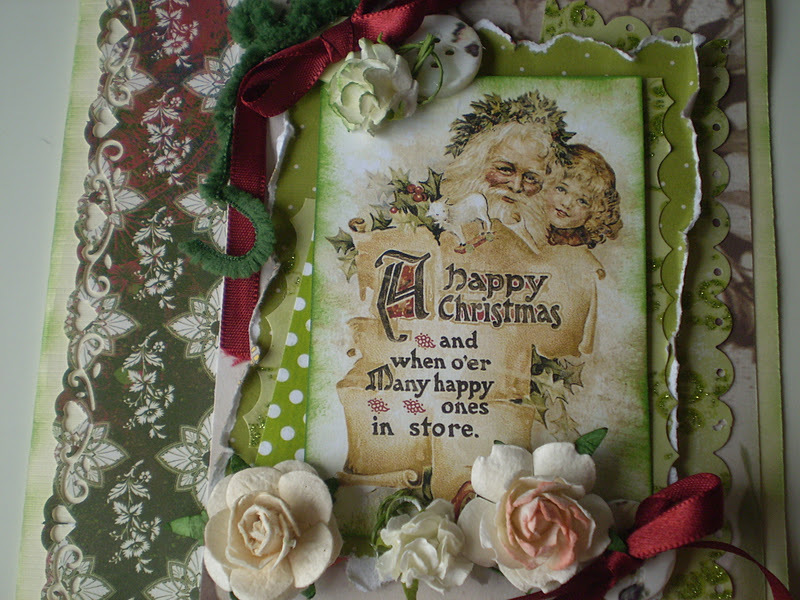 Lovely image of Santa, the papers you used, the flowers, they're all perfect! Thanks for playing with us in AS.